Reinforces the knowledge that there is no death, aids in understanding the wheel of birth, death and rebirth. Brings the knowledge that separation is an illusion and reunion will come. Removes fear and anxiety, promotes a trust in ones self and brings a feeling of safety and security. Black Onyx has a Trigonal crystal system and is in the mineral class of oxide, the quartz group. It is a Chalcedony whose black coloring comes from the presence of iron and carbon. It is formed hydrothermally or in cooler solutions in the hollows of rocks. Onyx actually occurs in a variety of colors. While predominantly black, it can also be black and white, red and white or an orange-brown, honey colored and white. When used in fine jewelry, please note that most has been dyed to remove any color imbalances and make it a pure, solid black. It is a stone that is carved easily, and I'm sure many of you have seen the horse head book ends and statues that have been a popular souvenir to bring home from visits to Mexico. As with most things in life, moderation with this one is the key. If constantly used for sexual suppression, other physical and mental dis-ease will manifest. There are many benefits to using this one in moderation though as I explain on the other tabs about Black Onyx..
Black Onyx encourages self-realization. It aids in pursuing our own goals with determination and is particularly suited for those who may be easily influenced or lead. It is also beneficial for centering and aligning the whole person with the higher powers. Black Onyx boosts our self-confidence and sense of responsibility. It encourages a healthy ego and the willingness to get involved in a dispute if it is necessary. 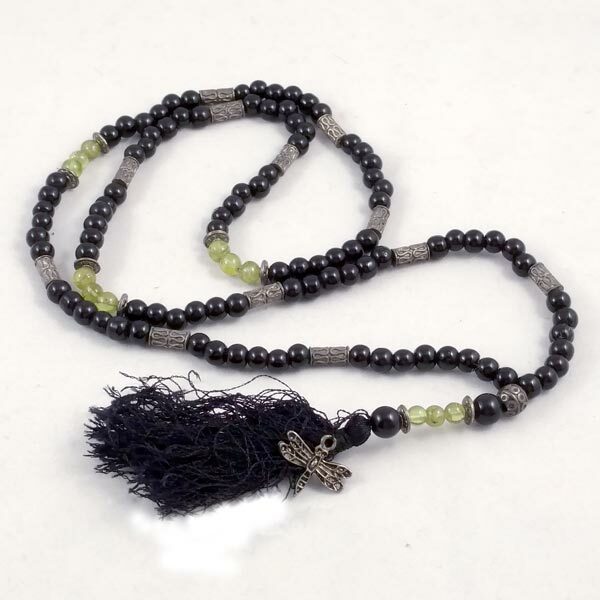 Black Onyx improves the ability to assert ourselves. By stimulating analytical thought and logic, it improves concentration and will assist us in arguing in a determined manner. It also provides a sober and realistic outlook to our lives which improves control over our own actions. 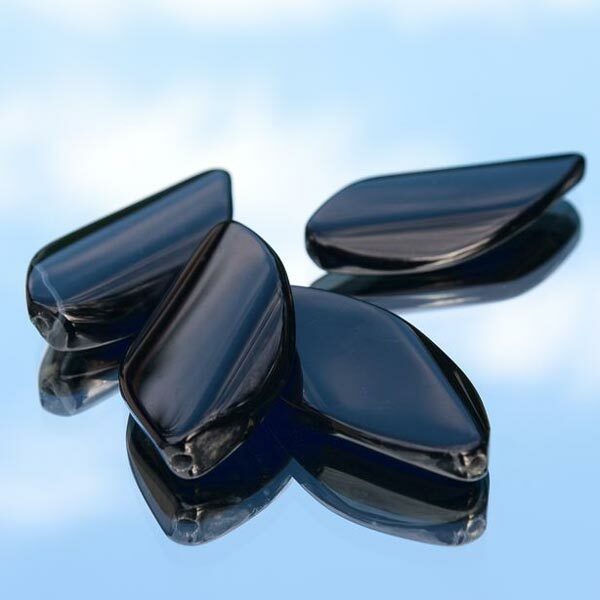 Black Onyx will sharpen the sense of hearing and heal diseases of the inner ear. It improves the function of the sensory and motor nervous system, helps with weakness of the eyes and can fortify the immune system against susceptibility to infection. Black Onyx has a special affinity with Leo, and lesser with Aquarius, Pisces, Cancer and Libra. It has a Projective Energy, its Planets are Mars and Saturn and its Element is Fire. Black Onyx used in classical, ceremonial magick, had the image of the head of the god Mars or a figure of the hero Hercules engraved on it and was carried for courage. It has traditionally been used as a protective stone and as a defense against negativity or psychic attack. Black Onyx has been mainly used set in a ring, with a Diamond at its center. The Diamond, said to be sexually arousing, surrounded by the Onyx, which can be sexually inhibiting, symbolizes the control over sexual natures. In the Middle Ages, Onyx was thought to bring bad luck, sadness, fear, images of madness during sleep, and discord or dispute, especially between lovers. It still carries some of this reputation into modern times as well, and is not recommended to have any placed in the bedroom.